To Dog With Love: Fido's Freebie Friday Goes to #BlogPaws: How to Help Pets with Bissell! Fido's Freebie Friday Goes to #BlogPaws: How to Help Pets with Bissell! 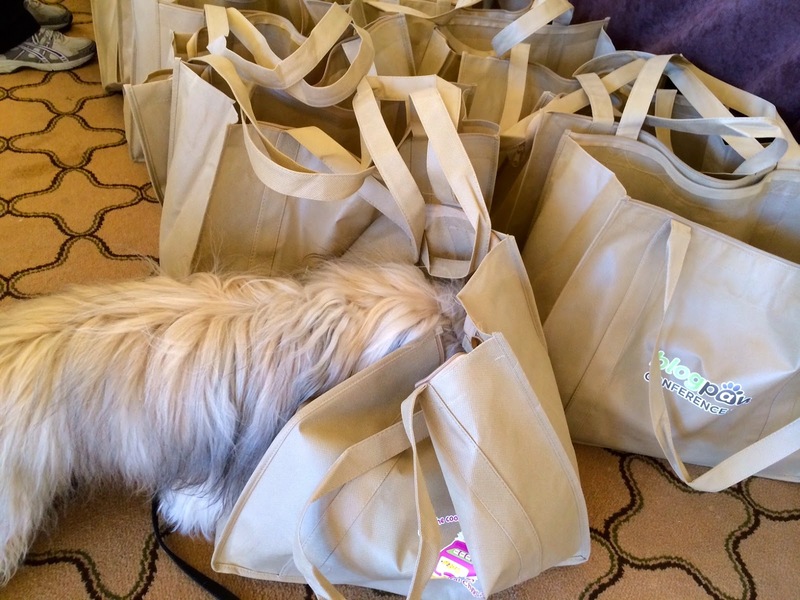 Rocco checks out the goodies in the BlogPaws swag bags. Today kicks off the official start of BlogPaws 2014, the annual pet blogger conference that we've attended every year since the conference began in 2010. We're at the beautiful Westin Lake Las Vegas Resort and Spa, and last night we attended a special event hosted by Bissell for bloggers who arrived early. There, we learned more about the Bissell Pet Foundation and enjoyed lots of tasty dessert treats! Did you know that anytime a pet product is purchased from Bissell.com, a donation in the amount of $1, $5 or $10 will be made to the Bissell Pet Foundation?! That's right! Through purchasing those products you can help the Bissell Pet Foundation in its effort to raise money for the grants and contributions they award to charities dedicated to saving the lives of homeless pets. The tasty dessert table at the Bissell party. Pups were welcome, of course! We'll have lots more to share as BlogPaws officially kicks off today.